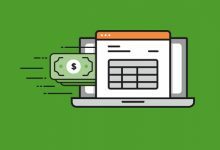 Setting up the payroll in QuickBooks has been made quite simple. Moreover, the complexities aren’t felt because they are hidden by the excellent user interface that requires only the most relevant details (intuited and pre-configured based on the experience gotten by setting-up over 500 companies). 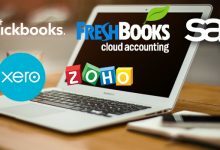 The three gross steps required to achieve this are by configuring the company payroll rules, setting up masters and payroll elements, and creating employee IDs. Go to the Payroll Settings option found under the general settings (represented by the gear icon at the top right corner of the header). A menu with a list of settings to be configured can be found at the left of the page. Here you can enter the statutory registration numbers and upload your logo (which will then appear on reports and employee payslips). Configure the options to manage end-to-end payroll, e.g. attendance, leave, benefits and location holiday calendars. Functionality is enhanced by having plenty of options under each category. Hovering the mouse over an option gives you in-line help about it. Skip details that aren’t pertinent to you. Details that have already been provided before won’t be asked for again (e.g. designation, personal details etc.). This easy step is about parameters like department, designation etc. used to group or filter employees. The 7 master fields are city, department, designation, level, cost centre, country and bank. Under salary components you can manage earnings, deductions, overtime, reimbursements and statutory components, with further specifications for each category, like taxability, effect on CTC, fixed or variable, type of calculation etc. Your account is also mapped to the ledgers in your Chart of Accounts, so the payroll journal automatically gets posted in the book of accounts. Employer IDs can either be created add icon (+), or by downloading the spreadsheet template, filling in the details and importing it back to QuickBooks. The template created is tailored on the master lists, pay components and leave names. Since most of your data inputs can be done through spreadsheets, you save on time and with on-boarding new staff. 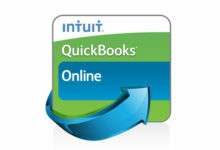 So there you have it – the ease and efficiency of QuickBooks payroll!